Five brush fires that broke out along the Garden State Parkway just north of the shore points are quelled, but the warning continues for extreme caution through our extensive rainless streak aggravated by gusty winds. 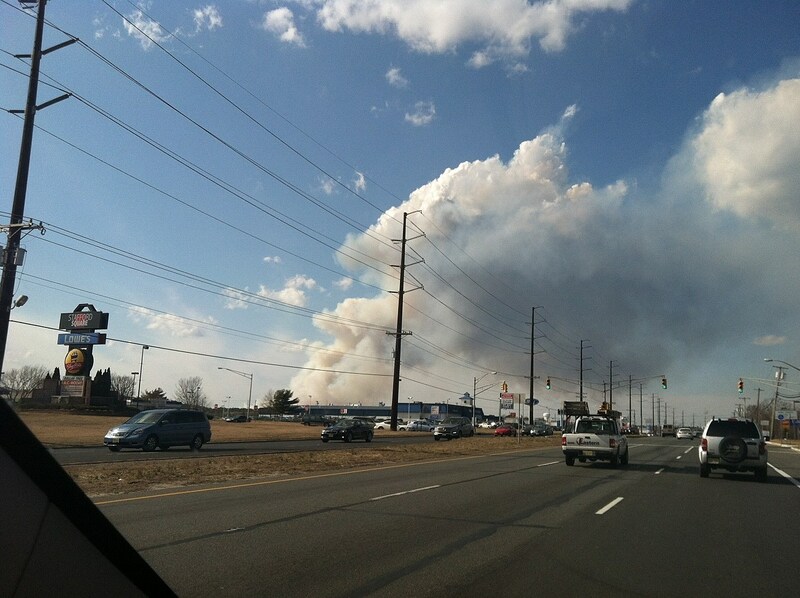 New Jersey State Police say that the blazes erupted in spots near Woodbridge, Clark, Cranford and Union within a 20-minute span just after 9 AM. A spokesman says they didn't appear to be deliberate. New Jersey Environmental Commissioner Bob Martin says that fire danger is currently rated high. Dry, windy conditions can turn an errant spark into a conflagration that consumes massive acreage of parched woods or grasslands. The New Jersey Forest Fire Service says it has responded to 315 wildfires that have burned 254 acres so far in 2012. Last year during the same period, its figures indicate 167 reported fires that damaged 176 acres.